PMFAI President Pradip Dave delivers a welcome address at ICSCE 2018 in Goa, India. 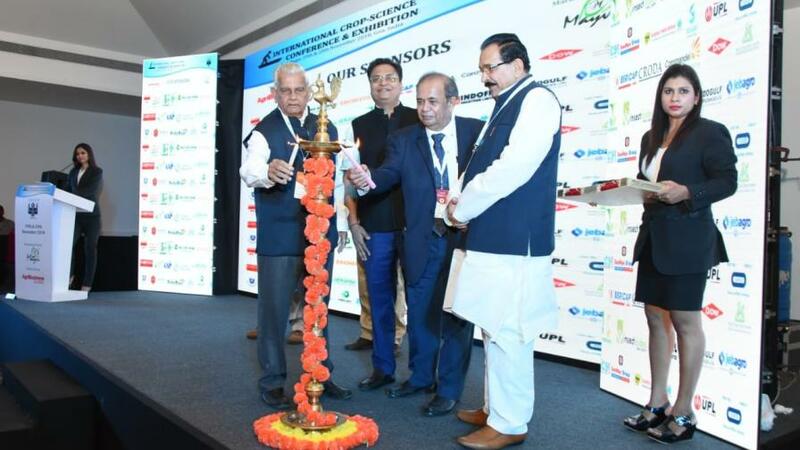 The 13th International Crop Science Conference & Exhibition (ICSCE 2018), organized by the Pesticides Manufacturers and Formulators Association of India (PMFAI), took place in Goa, India, on 19th and 20th November 2018. 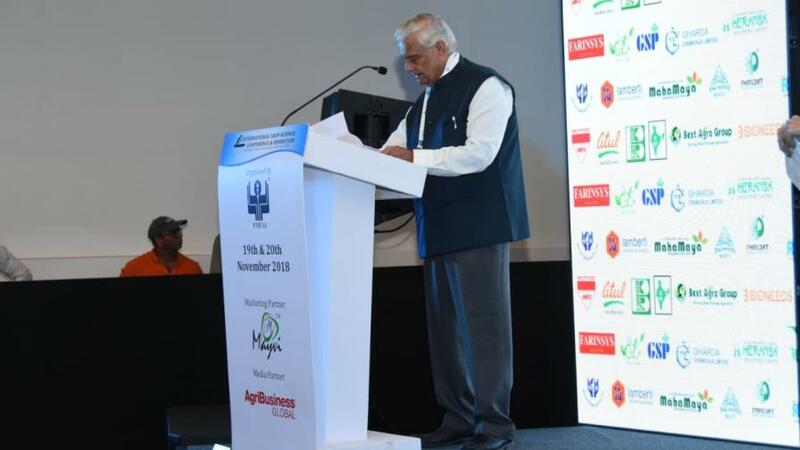 More than 800 registered delegates from industry participated in the event, which was supported in part by official media partner AgriBusiness GlobalTM. The total number of visitors to the exhibition, including registered delegates, was more than 1,100 persons from various countries, including Australia, Argentina, Brazil, Belgium, China, Chile, Cote d’Ivorie, Egypt, Ethiopia, Europe, France, Germany, India, Iran, Italy, Jordan, Korea, Kazakhstan, Morocco, Nigeria, Russia, South Africa, Sri Lanka, Switzerland, Syria, Turkey, U.S., U.K., United Arab Emirates (UAE), and Vietnam. The inauguration of ICSCE 2018 included (from left) Pradip Dave, PMFAI; Rajesh Aggarwal, Insecticides India Ltd.; Deepak Shah, Sulphur Mills; and Dr. Krishan Bir Chaudhary, Bharatiya Krishak Samaj. Padma Shri Prof. G.D. Yadav, Vice Chancellor, Institute of Chemical Technology (ICT), inaugurated the two-day event. PMFAI President Pradip Dave delivered a warm welcome address. ICSCE is an international platform for agrochemical/pesticide companies to develop strategic and sourcing relationships with international pesticide companies and get updated on current trends in the agrochemical market. ICSCE is an annual international event organized by PMFAI to improve the health of the generic pesticide industry and bring together under one roof researchers in the field of agriculture, pesticide manufacturers, agrochemical traders, and allied industry. ICSCE provided opportunity for business expansion by way of joint ventures, bilateral trade, sub-contracting/contract manufacturing, and distribution and networking opportunities for buyers and sellers to benefit mutually. Padma Shri Prof. G.D. Yadav, Vice Chancellor of Institute of Chemical Technology (ICT), presented on the Use of Green Chemistry in Agrochemicals. Antoine Vielliard, Global Marketing Director of Solvay India, spoke on Drift Control and Deposition Adjuvants. Menno Pointer, Business Development – Agrochemical Business, Bericap India Pvt. Ltd., dealt in the importance of Agrochemical Packaging – TRIPLE “S” (Standardization, Safety, and Sustainability). Hrushikesh J. Mirgal, R&T Manager, Crop and Health Care, Asia, Croda India Company Pvt. Ltd., presented on the Challenges in Formulation. Dr. Thomas Mueller, Managing Director of Scientific Services Pvt. Ltd., conducted a workshop on European Union – Risks and Opportunities for Plant Protection Products. 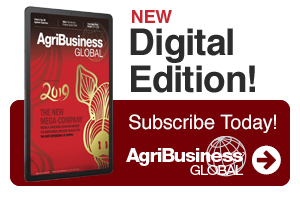 Eric Davis, Managing Director, Agribusiness Group, Meister Media Worldwide, USA, spoke on the Disruptions in Distribution: Can an Amazon Model Work in Agriculture? D. S. Chandrasekhar, Director, CSIR-Indian Institute of Chemical Technology (IICT), presented on the Contribution of Organic Chemist in Pharma and Agro. Filippo Quaglia, Senior Scientist-Agrochemicals Formulations, Lamberti Hydrocolloids Pvt. Ltd., spoke on Novel and Versatile Natural Sticker for In-Can Applications. Daniel Zweifel, Technical Service and Development Manager for Dow Crop Defense, discussed How to implement Efficient Components in Innovative Crop Protection Formulations. Anil Kakkar, Vice President (Sales and Marketing), Excel Crop Care Ltd., spoke on Agrochemical Distribution System – Pattern in India. Dr. Ashwini Sandu, Strategic IP Advisor, conducted a workshop on Agrochemicals and Patenting. These presentations and workshops greatly helped participants in gaining knowledge on the global agrochemicals market and emerging trends in agrochemical business. With greater participation by key players in the global agrochemical market, the participants appreciated the event. Coinciding with ICSCE 2018, the first PMFAI-SML Annual Agchem Awards 2018 was held on the evening of 19th November 2018 at La Calypso, Goa. Institution of this annual awards from this year is to recognize and honor outstanding achievements in Indian agrochemical industry and remarkable contributions that help the sustainable growth of agriculture. PMFAI-SML Agchem Annual Awards, which made for a remarkable beginning from this year 2018, is sponsored by M/s. Sulphur Mills Ltd., one of the globally known leading Indian agrochemical companies. PMFAI-SML Agchem Awards is first of its kind in the Indian agrochemical industry. Renowned Scientist and Former Director-General of CSIR Padma Vibhushan Dr. R.A. Mashelkar is Chairman of the Award Committee, which was supported by an independent panel of judges consisting of scientists and professionals who scrutinized the award applications to decide the winners and runners-up in different categories. Winner: Bhagiradha Chemicals & Industries Ltd. Winner: Sandhya Organic Chemicals Pvt. Ltd.
Runner-Up: The Scientific Fertiliser Company Pvt. Ltd. Winner: Willowood Chemicals Pvt. Ltd.
Runners-up: Geolife Agritech India Pvt. Ltd. Winner: Dr. K. H Gharda, Chairman and Managing Director, Gharda Chemicals Ltd. Winner: Excel Crop Care Ltd. The award function, held in the evening of 19th November 2018, was followed by an entertainment program, cocktails, and dinner reception in which approximately 900 people participated.